Having trouble with math? Need some advice on that book report your struggling to write? 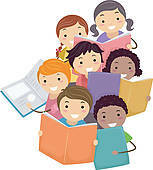 Join members of the Helping Children Tomorrow club for help with your homework. The Helping Children Tomorrow club is made up of students from Fox Chapel Area High School. For grades 1-5.